Iranian Foreign Minister Mohammad Javad Zarif says his country will expand ties with nations tired of US bullying. Iran will expand its ties with nations equally tired of “bullying” by the United States, Foreign Minister Mohammad Javad Zarif said on Wednesday, according to Reuters. 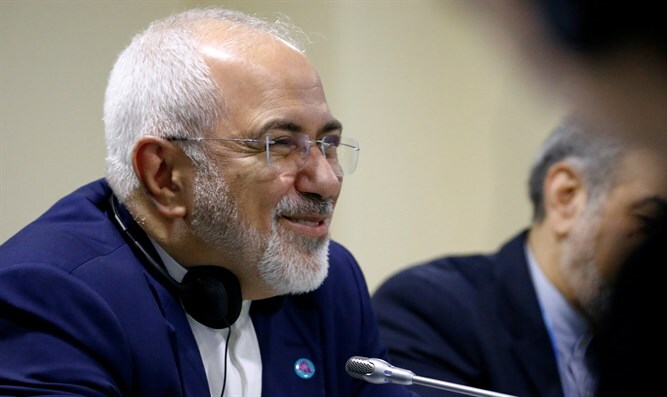 Ahead of the start of the new year in the Iranian calendar, Zarif called the sanctions imposed on his country by the US “unprecedented, inhumane and illegal”, and said Tehran would overcome the “medieval tactics” employed by Washington. “We rely solely on our own people to overcome any challenges. But we also welcome constructive engagement, including with the expanding array of nations who are equally sick and tired of the bullying of the US,” Zarif wrote on Twitter. US President Donald Trump withdrew from the 2015 Iran nuclear deal last May and later reimposed the sanctions on Iran that were frozen as part of the deal, causing the Islamic Republic to feel the pressure economically. The rial was trading at 135,000 per U.S. dollar on the unofficial market on Wednesday, according to foreign exchange websites, three times weaker than a year ago, but off record lows around 190,000 per dollar reached in late September. Earlier this week, Iranian President Hassan Rouhani declared that Tehran is preparing a lawsuit in Iran against US individuals involved with economic sanctions imposed by Washington on the Islamic Republic. Rouhani condemned the sanctions as a “crime against humanity” that was hitting ordinary Iranians. “The world should know that what America has done was not against the Iranian state, it was not against Iran’s nuclear program, it was against the wellbeing of the Iranian people,” he said. Meanwhile, Germany, France and Britain, which did not agree with Trump’s decision to leave the deal, have been scrambling to prevent a collapse of the agreement. The EU recently introduced a trade mechanism that would bypass US sanctions on Iran, in a bid to save the 2015 deal.